In 1775, Joseph Bouchard acquired his first vineyards in Volnay in the famous "Les Caillerets" climat and started to develop the family's vineyard holdings. During the French Revolution, property belonging to the clergy and nobility was confiscated and put up for sale. Joseph's son, Antoine Philibert Joseph Bouchard, seized the opportunity to extend the family's vineyard holdings in Beaune including the famous "Beaune Grèves Vigne de l'Enfant Jesus." This desire to build up an exceptional estate in Côte d'Or endured through the generations and acquisitions in the best Villages were added throughout the 19th century and again in the early 20th century. "Intense color with a very aromatic bouquet of small ripe red fruits like cherry, raspberry, and currant. Beautiful flesh in mouth, a delicious marriage where tannins and fruits are pleasantly mixed. 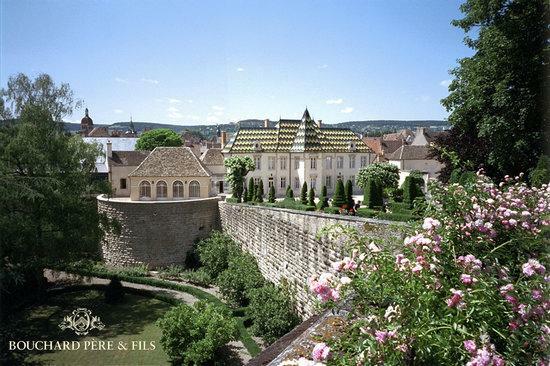 Founded in 1731, Maison Bouchard Père & Fils is one of Burgundy’s oldest wine merchant houses.